Campsite Schönburgblick is a campsite with 40 touring pitches and 10 year round pitches. During low season, between 15-03-2019 - 30-05-2019, 10-06-2019 - 14-07-2019, 01-09-2019 - 08-09-2019 and 22-09-2019 - 03-11-2019, the nightly rate is €18,- at one of the 40 touring pitches at Campsite Schönburgblick in Oberwesel (Rhineland-Palatinate). At this campsite you can not only use your CampingCard ACSI for inexpensive camping, you can also use your ACSI Club ID (as an alternative ID). 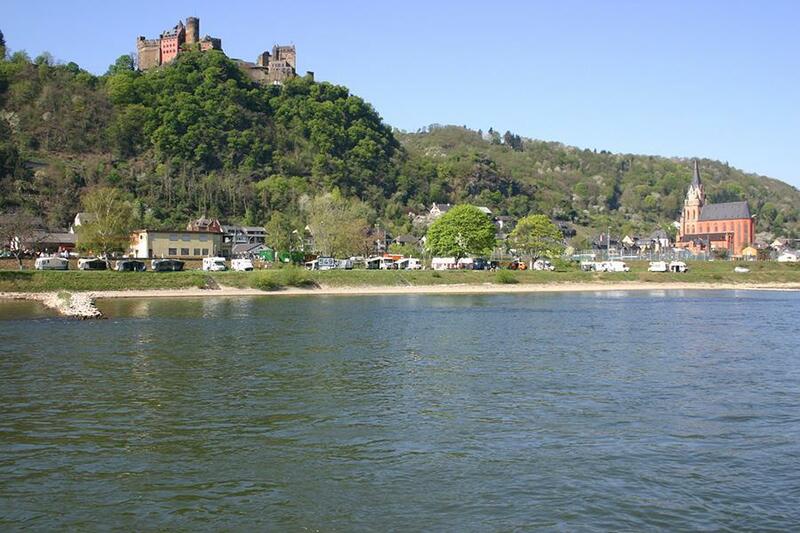 A small campsite directly on the banks of the Rhine near Oberwesel. Wonderful views of the Rhine. Watch the boats sail upstream and downstream. Supermarket 200m, city centre 1 km. Rhine cycle route goes past the campsite. Closed lunchtimes from 13:00 to 14:00. CampingCard ACSI will send your information request to "Campsite Schönburgblick".